From the mass shooting in Paris to suicide bombings in Afghanistan, terrorism has spread all over the world and destroyed the lives of many innocent people. With the change in climate, natural disasters have become quite common and constant. The earthquake in Nepal and the tsunami in Japan, all of these calamities occur out of nowhere and demolish the existence of living beings. These are the two factors that no one even considers while traveling abroad as we’re all so consumed by the weary and anxiousness of getting the first class ticket or the five-star hotel room. It doesn’t matter which hotel you were staying in or which flight you traveled in when these catastrophic incidents hit you. In the recent past, all travel agencies and companies have one reoccurring problem, and that is the loss of passports and important documents of foreigners who’re traveling in a country for business. It is a responsibility of a manager or the head of the company to ensure that their employees who were traveling abroad for business purpose, return to their home safely. Considering that this disastrous phenomenon is not under the control of anybody, the scale of the cataclysmic can be prevented and reduced only to a certain degree. Another important factor to keep in mind is that traveling abroad and traveling within the country on business are two polar opposite experiences. If you’re supposed to go on a journey to another city, you will firstly not make a fuss about it as you’re already aware of the language, culture, customs, and norms. You’d be conscious of the food, literature, clothes, architecture, political climate, and weather. Conveyance and currency don’t become a stressful situation to tackle. 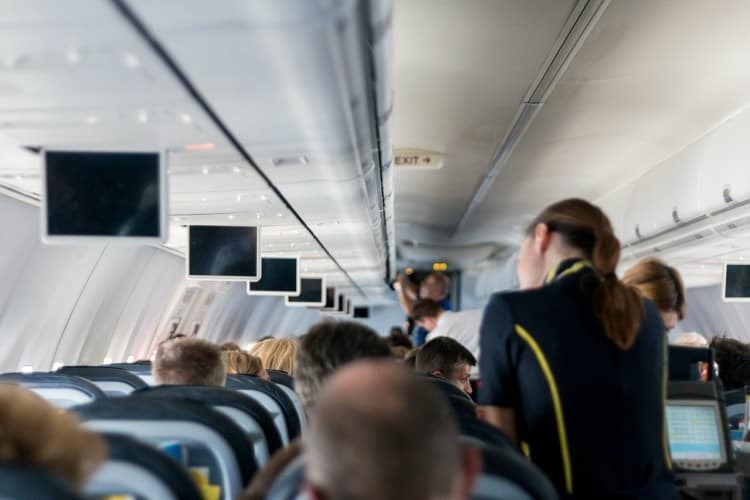 However, if you’re traveling abroad, you’re going to feel a little nervous as you will be unaware of their laws, language, culture, people, places, and traveling system. It especially becomes more daunting when you are an introvert. Besides the usual business routine, if you’re traveling abroad, there’s a huge possibility that you’d want to visit its infrastructure and famous outlets as missing out on those luxuries would result in a disappointing and underwhelming experience. This is why, to ensure a safe and pleasurable journey, following are some helpful measure that one must oblige. Before you leave for your business trip, you need to plan your meetings well in advance. A day or two before leaving, you’ll at least have a rough idea about the things that you’d need to get done on the first few days. Try to utilize that information in scheduling the following few days. Make sure that your day is flexible so that you don’t have to run from one meeting to another. Leave space or time for the transportation conflicts or sudden lunch or dinner invites. Failure to do so will result in an exhausting experience. After returning home, you’d only remember how you attended one meeting after another and hardly made time for your lunch. Important advice to take from this post is to always share your schedule with a colleague whom you can trust or a family member so that they know where you will be at all times in case something unfortunate happens. English is a universal language, and almost every person knows the basics, at least. Try to learn the basics while traveling abroad so that you can at least communicate your needs to them. The basic understanding or even the bits of native language while talking to a potential business client can leave a good impression on them as they’d feel important. Use them during the conversation so that they know you’re interested. In situations where both you and your client speak different languages, try to have a translator so that you don’t defeat the whole purpose of the meeting. In case of a natural disaster or terrorist attack, every country follows some particular procedures and protocols that you must learn and oblige. It is important to be educated about these matters and not be completely unaware. This will help you in times of crisis and not leave you stranded alone in a strange place. That way you’d be able to get access to immediate help and also inform your relatives about your security. It is advised that you get a keen insight into the culture of whichever country you’re traveling to. Take out time to search about the norms, culture, and customs of the place. They might have a certain way to greet, converse, and eat. They might present gifts or bow down. If you’re aware of these small yet important things, you’d be able to leave a good impression on people and have an insightful and memorable experience. It’s important to bring only the official and required documents with you on the business trip. Try to keep track of what you want. Remember and make a list of all the documents that you’ll be carrying with you so in case of robbery, you’d know which documents you had while reporting. Constantly monitor your credit cards and reports. Lock all your belongings. Your wallet, passport, and hotel keys are an essential part of traveling. In case of a disaster, it’s always considered better to formulate and write down an emergency plan. When something unfortunate and tragic happens, the person usually loses the ability to think straight. This way if a plan is already made and written down, you’d know exactly where to go and whom to ask for help. Always have a backup emergency number of a nearby embassy, hospitals, and police stations. Whenever you’re leaving the home country to travel abroad on business, you must contact your cell phone provider to find out different options to stay connected to your loved ones back home. Nowadays, plenty of applications are available that keep track of your whereabouts in case you get lost. Try to utilize these opportunities and travel safely. Megan Taylor is an expert writer on the Custom Dissertation Writing Services UK. She has been working as a writer for 3 years for this company. She provides an essay writing service, editing, and other writing.